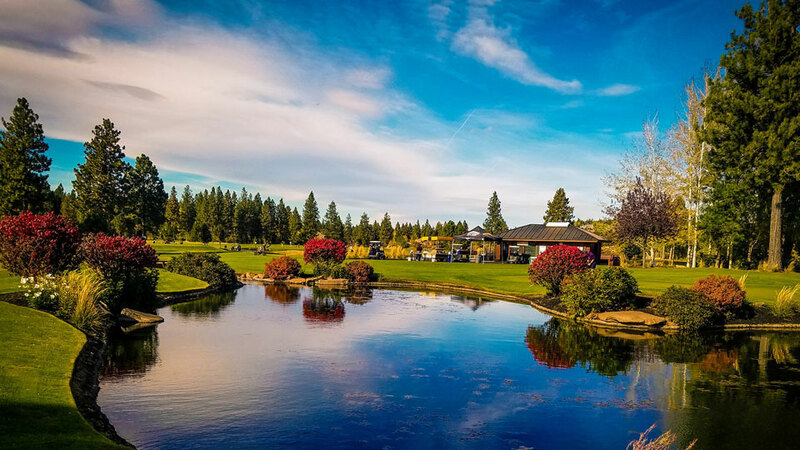 Broken Top Club on Bend’s west side in the foothills of the Cascades is a privately owned and operated golf and social club with 6-acre lake, clubhouse and other amenities and services, with spaces available to accommodate special event groups of 25 to 250. Their Special Events staff is happy to recommend lodging as well as vendors for your event on a personal tour. The chef and staff will provide all food on site, from breakfast buffets to dinner banquets and offer customization of the banquet menu selections to meet dietary needs. A complimentary menu tasting is included with the Wedding Package and a complete Banquet Menu and Banquet Wine Selection are available upon request. Private event venue options range from the Boardroom with a capacity of 22, to the Sunrise Terrace, a large outdoor patio that is landscaped and features a glowing fire-pit, bistro lighting, giant chess board and outdoor bar for up to 250.